I thought it would be perfect for watercoloring, SO I pulled out my Schmincke watercolors (I really need practice!) and took my time to color. It was like meditation and I enjoyed it a lot! I didn't wat to add a stamped sentiment that would interfere with the image, so I pulled out my hello die (Penny Black 51-104 Hello), cut it from the colored panel and carefull adhered it with some foam tape, to make it show up. The card felt kind of unbalanced at first. 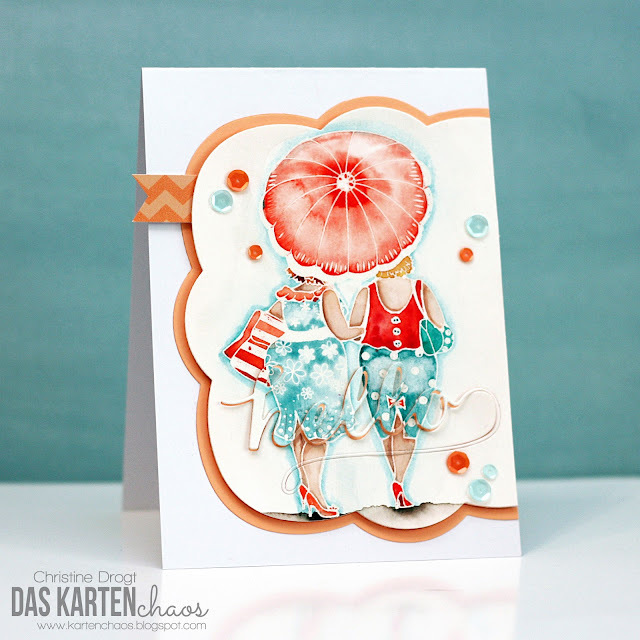 I was colored nicely, has some sequins, an interesting layout, but it just felt incomplete. I then adhered that small panner from some patterned paper in a matching color and this little pice of paper really had a big impact. It pulled everything together and balanced the card. Sometimes it's worth to just add a super small element! das ist einer der schönsten Karten, die ich seit langem gesehen habe. Die Farben sind sommerfrisch, deine kleinen Ideen darin ganz wundervoll.Wunderbar!! Das sieht SUPER aus, Christine !!! Tolle Farben - richtig schön sommerlich. Wow... your coloring on this looks amazing! 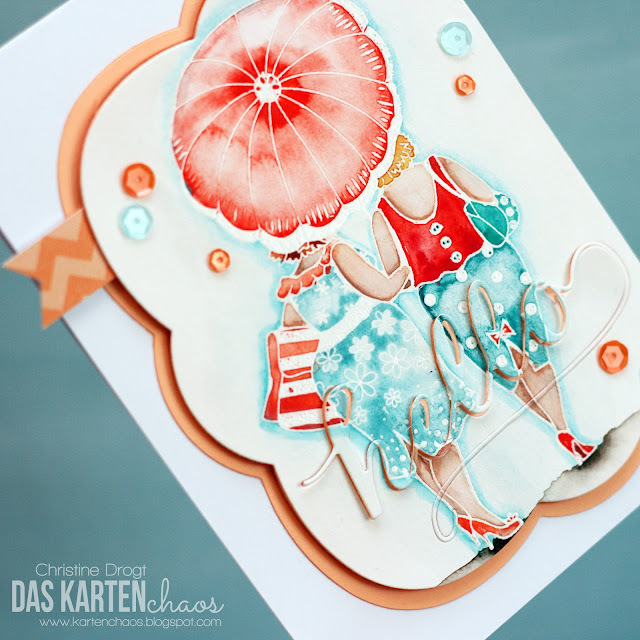 Beautiful card and a great finishing tip! Also, congrats on your recent win at Inkspirational!